When Elton was planning the follow up to the critically successful yet commercially disappointing Empty Sky, he played producer Steve Brown a demo of Your Song. Brown, sensing he was hearing something rare and special, arranged a more experienced producer, Gus Dudgeon (David Bowie, the Strawbs) to be behind the controls of this next album. To say Brown was correct would be one of the must underrated statements of the twentieth century. The Elton John album was a definite maturing process since his last record. On this release, the songs are more connected and have a better overall flow than his first record. The most obvious change was the orchestral arrangements that compliment the album courtesy of composer Paul Buckmaster. In what is a true sense of accomplishment, 17 years later, more than half of the songs on Elton John would be on the live compilation Live In Australia. In addition to the undying Your Song we are treated to such beautiful pieces such as I Need You To Turn To, First Episode at Heinton and The Greatest Discovery. 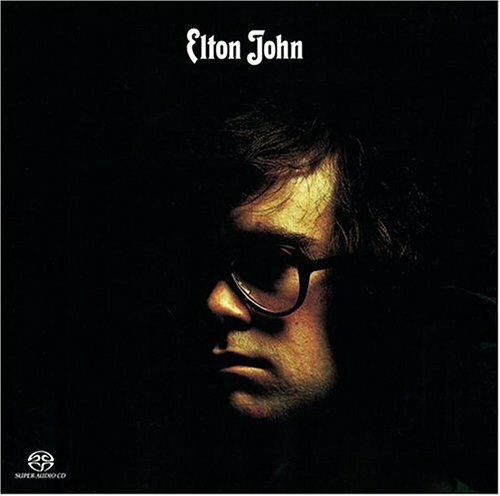 This was the first release in America, where Elton has always been more popular. What is humorous is how the initial audience perceived Elton fromm the music on this album as well as his looks. No one could ever imagine that the sober looking man on the cover was capable of coming out in the most outrageous costumes rock music would ever see. Nor did they imagine what a truly gifted rock musician he was. Apart from the wonderful Take Me to the Pilot and maybe The Cage the album is pretty mellow. The album also included the beautiful Sixty Years On as well as Border Song which was released as a singe and appeared on Greatest Hits but really wasn't that well known. The remastered CD also includes three additional songs, among them Bad Side of the Moon which is a very nice compliment. Truly a great work.